Let me tell you a story. It’s about my Roomba. (Yes, the robotic vacuum cleaner.) You might be wondering what this story has to do with Verato or with patient matching… bear with me. (1) I could ignore my dust problem and let my house accumulate dirt in corners I wasn’t even aware of while my friends increasingly ignored my invitations asking them over for dinner. (2) I could pay for a dedicated cleaning service to periodically come and clean my house — usually triggered by something like realizing that what I thought was luxurious carpet was actually a disturbingly thick layer of dust. (3) I could invest in the time and effort of vacuuming my house every day — manically covering every square inch of my floor and slowly losing touch with friends, family, and reality until finally breaking down and checking myself into my local chapter of Vacuumers Anonymous. 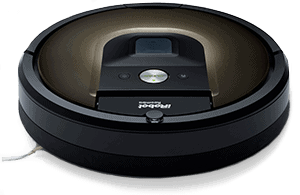 Then the Roomba came along — a cheap way to automatically and quickly vacuum my house without the effort or costs of manual cleaning. Then Verato came along. Verato Auto-Steward™ is a cloud-based plug-in for your EHR or EMPI that automatically finds and resolves your duplicate records, including any “potential duplicate records” your EHR or EMPI has flagged for manual review and resolution. Less manual effort. Fewer duplicates. Huge cost savings. And system agnostic — whether you use Epic®, Cerner®, IBM® Initiate, NextGate®, Mirth®, or any other EHR or EMPI.